Smart. Elegant. Innovative. These are the words that come to mind when you first see designer Angella Mackey’s Vega brand of electronic garments and accessories. The CFC Media Lab alumna has been specializing in wearable technology for nearly 10 years. Each new project she works on, whether for Vega or other collaborations, pushes the boundaries of how we think about textiles and fashion. 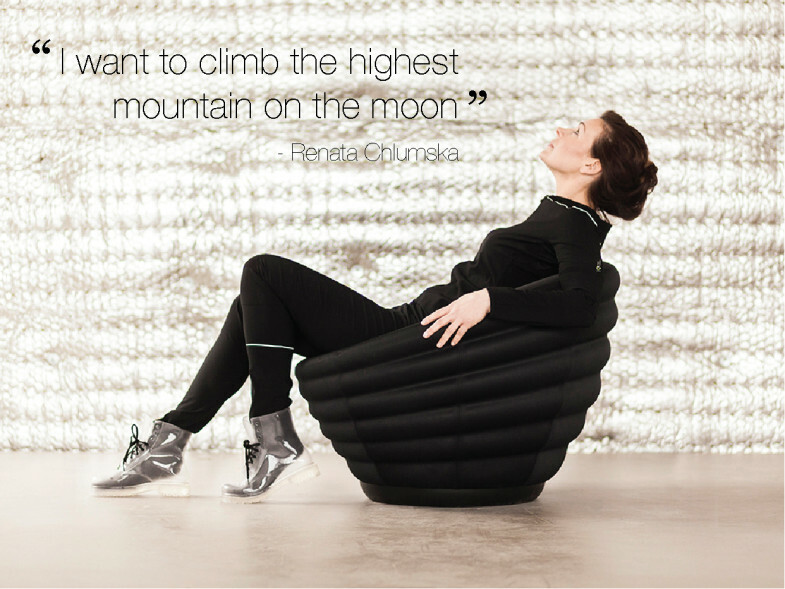 Look at her Spacewear suits, created for adventure athlete, Renata Chlumska. In partnership with Smart Textiles and Spacesport Sweden, Mackey designed a cool neoprene garment complete with electronics integration to suit space travel, such as a digital clock display on a detachable wrist band and a neck piece that houses a camera. Her passion for digital fashion is ever-evolving, and these days she’s focused mostly on experimenting with fabrics that have AR capabilities. Angella Mackey shared with us what inspired her to pursue a career in wearable technology, and what some of her achievements and challenges have been, and what’s coming up next. What sparked your interest in electronic garments? 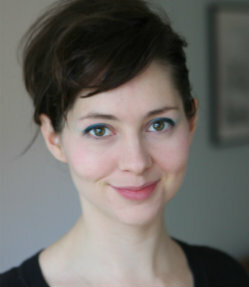 Angella Mackey: From 2006 to 2007, I worked at the Textile Museum of Canada as a curatorial intern on a project called “Digital Threads.” Originally, I took the job thinking I was combining my ambition to be a curator of media art with my hobby and love of textiles and fashion. I thought it would bring me closer to becoming a curator. What happened instead was that I met and worked with wearables pioneer, Joanna Berzowska, through the project, which planted the seed in my mind that I wanted to – and possibly could – make clothes with integrated electronics. What has been one of your biggest challenges in the industry? Mackey: In my experience, the industry of “wearable technology” has been driven mostly by technological innovations. Repeatedly, I see the launch of new gadgets or smart garments that are amazing inventions, but made with no real thought to solving a genuine problem or fitting into a cultural, social or aesthetic space. My work has been focused on explorations of how technology might, or might not, integrate into everyday fashion and everyday life. One of my biggest challenges has been finding approaches to wearable technology that recognize and respect clothing as a socially-defined concept and not just a platform for electronics. What’s been one of your proudest achievements in your career? Mackey: There’s not one thing that I am the proudest of. I’ve been continuously challenging myself, and with each new endeavour, I feel proud to have gone one step further. Most recently, I presented my first academic paper at the Research Through Design conference in Scotland, while I was eight months pregnant. How have the skills you learned through CFC helped you in your endeavours? Mackey: The skills I learned through the CFC Media Lab were fundamental to helping me shift career directions and I have continued building on them. I came to the CFC with a background in new media art and was looking to transition into work that was more commercial, applied and hands-on. The CFC gave me a base skill set and a new way of thinking and understanding design challenges that prepared me to go in any direction I chose. Mackey: I’m currently a PhD candidate at Philips Lighting and Eindhoven University of Technology in the Netherlands. The PhD program is part of a larger network called the ArcInTexETN, which combines architecture, interaction design and textiles to explore future ways of living. My work specifically explores what it might mean for garments to possess fabrics with digital capabilities such as dynamic display or augmented reality. I have been documenting my experiments on my Instagram account. Mackey: I see myself continuing to work in research and innovation – which could be in academia or a commercial context.